First Sentence: Tonight, Annie is driving from North Sea to Montauk and back to North Sea as she has every night since Mason killed himself. Reason for Reading: The publisher kindly sent me a copy of this book quite unexpectedly. Ursula Hegi wrote one of my all-time favorite novels, and I have enjoyed two others by her as well. I was quite thrilled get the opportunity to read her latest. Comments: Sometimes even the closest of friendships carry the darkest of secrets. Annie, Mason, and Jake have been friends since childhood, with Annie as the glue that holds the friends together. Mason’s suicide devastates the two remaining friends who struggle with their grief and guilt. Annie and Jake know what finally pushed their friend over the edge, and they both blame themselves for having a part in it. Mason and Annie were married on the day Annie’s parents died in a car crash, leaving behind a newborn baby, Opal, making the newlyweds an instant family of three. The three friends pull together to get through their grief at the loss of Annie and Opal’s parents and to create a stable and good life for the young Opal. With Mason’s death eight years later, Annie must go on for Opal’s sake. She works through her grief as she struggles to help her sister through hers. The friendship between the once three best friends is hanging by a thread just barely for the two that remain alive. Ursula Hegi’s novel takes the reader into the hearts and minds of the three friends and their little charge, Opal. We are also introduced to Aunt Stormy, a close family friend of Annie’s mother who stands by Annie and Opal through the worst of it. The perfect friendship was not so perfect after all, and as the story unfolds, the characters are unmasked through their grief and suffering. I never came to like Mason or even really sympathize with him as a character. He was selfish and manipulative. He acted out his insecurities his entire life, playing the victim or wounded one to gain sympathy and attention. I never did see exactly why it was that Annie and Jake were so protective of him or why they were drawn to him. They both loved him in their own ways and at the same time despised him. Setting that aside, the grief and internal struggle of having lost someone to suicide described in the book is very real. The process of working through the grief and anger, coming to terms with the past and grabbing hold of the present, and moving forward is very much alive in Ursula Hegi’s latest novel. The story itself is convoluted and not overly exciting. There are no surprises, even as the more secretive aspects of the story come to light. Yet Ursula Hegi’s beautiful writing brings to life the essence of the story and carries it from beginning to end. This is not the author's best effort, but I am still glad I took the time to read it. Favorite Parts: Annie found solace in her art. She so easily got lost in a project, letting it take over and come alive on the canvas. I could tell that she was most at home when she was creating and living through her collages. Taking out the kayak and floating along the water, seeing the wild life, the birds and jellyfish. Amidst all the turmoil, the moments on the water were the most peaceful and healing. I would not have minded joining along for the ride. I loved Stones in the River, a lot. This is an excellent review, which hasn't turned me off, but I won't search it out. You explained your ambivilance nicely, and fairly. 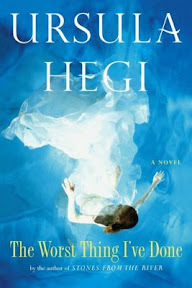 Hegi hasn't seemed able to match her first effort, which we may be unfairly comparing her too. Great review, Wendy! I haven't read anything by Ursula Hegi yet. The cover is lovely. Elizabeth - Stones in the River is my favorite of hers, definitely. And thank you so much for the compliment. I think you may be right about us hoping she'll live up to her first book, when perhaps that isn't quite fair. I really do like her writing and I think that is why I keep coming back to her books. What a fun surprise to recieve! Your review is wonderful. I have never read anything by this author, but may check into writing. April - I love getting unexpected books in the mail. :-) I highly recommend you try Stones From a River by Ursula Hegi. Although, maybe you want to try something else by her first so you don't end up in the trap Elizabeth and I share. It's such a great book that nothing quite compares. Ok, just to let you know how fried my brain is - I went through my ARCs that I recieved in Nov., but put aside for holiday reading. Well, low and behold there was The Worst Thing I've Done, lol. I have it, Waiting to Surface by Emily Listfield, Them by Nathen McCall, and Leftovers by Laura Wiess that I need to read and submit reviews for. I did start reading Leftovers last night - even though I have already started another book. So far it is pretty good. I will have to pick between the two though, really not good at reading more than one book at a time, lol! April - It sounds like you got the same books that I did. :-) I'm not very good at reading more than one book at a time, but I'm going to try and see how I manage this year. At least for the first month. I have this tendency to get so wrapped up in what I am reading that I don't want to stop for another book. I'm the same way - I get into a book and enjoy it - part of reading for me is getting to know the characters. 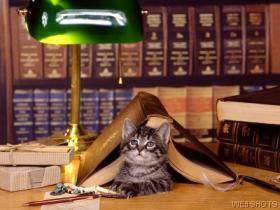 So if I switch between books, I feel as though I can't get to know them as well as if I read just one book at a time.